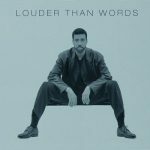 Louder Than Words is Lionel Richie’s fourth solo album, released on April 16, 1996. It also marked the first time he released a studio album of new material in ten years. In 1992 he released just three new tracks on his compilation album Back to Front. Louder Than Words debuted at #33 on the Billboard 200 with a disappointing sales of 28,000 copies, and only peaked at #28. Record Company – PolyGram Records, Inc.